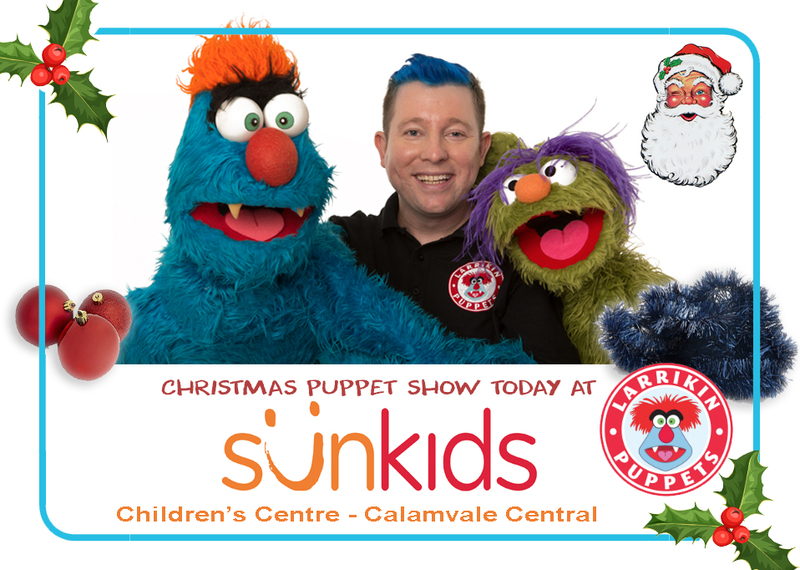 Today’s Christmas puppet show is at Sunkids Children’s Centre – Calamvale Central. Brett and his zany characters look forward to sharing some Christmas cheer with everybody there! We always love coming back to Sunkids Children’s Centres around South East Queensland. We’ve also performed at Sunkids Ormiston, Eight Mile Plains and Burleigh Waters. They’re always very enjoyable childcare centres to perform at with wonderful audiences.